It's easy to save cash with Cervera holiday packages on Expedia. You'll have loads more time to organise your exciting experiences — and more cash to splash! Smart travellers can earn savings of up to 15%* by securing a package deal on Expedia. With more than 400 partner airlines and 321,000 properties worldwide for you to pick from on our global database, you'll be heading off on your next holiday in no time! You can alter your travel bookings with us because we do not charge cancellation fees for almost all of our reservations. It can be enjoyable to just stroll around the streets in a new destination, but sometimes it's sensible to have a plan in place. Grab your schedule — we have heaps of awesome ideas for your impending Cervera holiday. No matter your travelling style, Expedia can help you locate the premier attractions and the most hair-raising activities. Just pack your suitcase and show up! Expedia currently doesn't feature any property listings for Cervera. 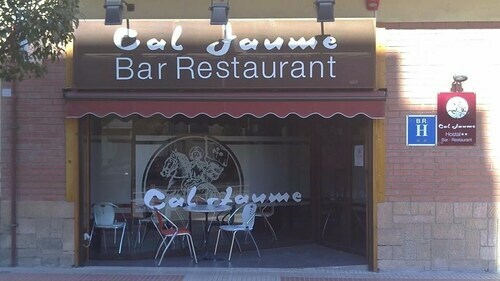 However, you can find a few places to stay just 17 miles (27 km) away in Blancafort. The Hotel Rural y Apartamentos Sercotel Villa Engracia, Hotel Balneari de Rocallaura, Hotel Monestir and Hostatgeria De Poblet are among the most popular options in Blancafort. 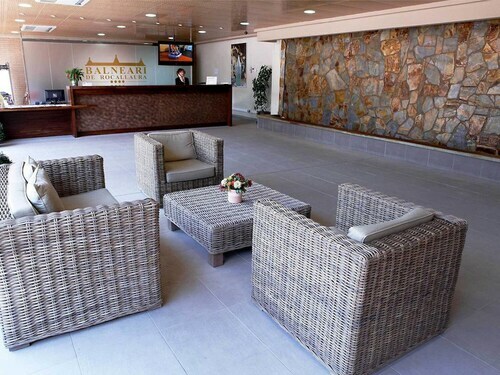 The airport is rarely the best part of your getaway, but there's nothing like the thrilling feeling of knowing that your well-earned trip to Cervera is a mere plane ride away! Once the plane lands at Barcelona International Airport (BCN), you'll be 50 miles (80 km) from the centre of town. Situated in Cervera, this hostal is within a 5-minute walk of University of Cervera and Farinera del Sindicat Agrícola de Cervera. Cervera Fortification Lookout and Museum of Cervera are also within 10 minutes. Cervera Station is only a 2-minute walk. Situated in Cervera, this hostal is within a 15-minute walk of Museum of Cervera, University of Cervera and Farinera del Sindicat Agrícola de Cervera. Cervera Fortification Lookout and Cervera City Hall are also within 1 mile (2 km). Cervera Station is 11 minutes by foot. 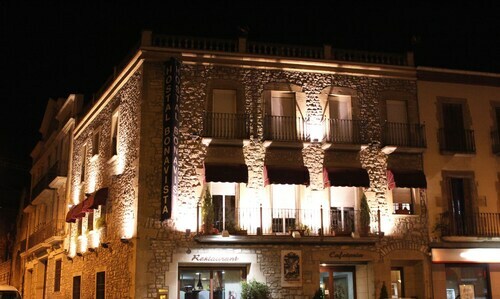 Situated in Cervera, this hostal is 9.5 mi (15.3 km) from Pallargues Castle and 9.6 mi (15.5 km) from Iesso. Cervera Station is only a 5-minute walk. Situated in the city center, this hotel is close to Cervera City Hall, Cervera Fortification Lookout, and Museum of Cervera. Also nearby are University of Cervera and Sant Pere el Gros. 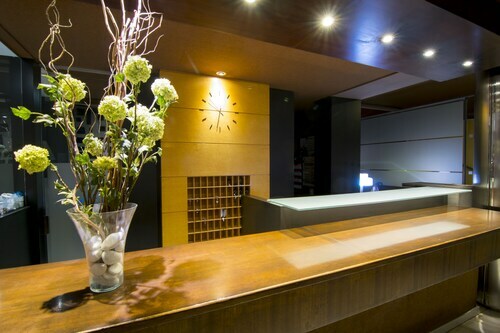 Situated in Igualada, this hotel is 11.4 mi (18.3 km) from Montserrat and within 20 miles (32 km) of Montserrat Monastery and Nadal Winery. Carrer del Balc and Cava Recaredo Winery are also within 25 miles (40 km). Situated in Mollerussa, this pension is 0.4 mi (0.6 km) from Capella de Sant Isidori and within 9 miles (15 km) of Estany d'Ivars i Vila-sana and Parochial Church of San Nicolás. Convent of St. Bartholomew and Fortress of Vilars d'Arbeca are also within 9 miles (15 km). Mollerussa Station is 8 minutes by foot. Situated in Bellpuig, this bed & breakfast is within a 15-minute walk of Parochial Church of San Nicolás and Convent of St. Bartholomew. Estany d'Ivars i Vila-sana and Capella de Sant Isidori are also within 9 mi (15 km). Bellpuig Station is 8 minutes by foot. Situated in a rural location, this spa hotel is 3.2 mi (5.2 km) from Monastery of Vallbona de les Monges and 12.2 mi (19.7 km) from Font Major Cave Museum. Milmanda Castle and Santa Maria de Poblet Monastery are also within 16 miles (25 km).